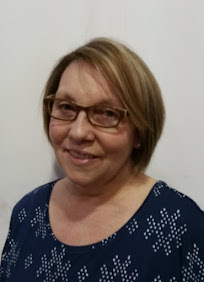 I started doing yoga about eight years ago, around the time I turned fifty. I had thought about trying it for many years but had always felt too intimidated to walk into a yoga studio, where I was sure everyone was young and skinny, and able to do all the poses with ease. My first class was truly amazing and most of my preconceived notions turned out to not be true. Sure, mainstream media shows us the gorgeous yoga models and movie stars coming out of yoga studios with their mats, but yoga really is for everyone who makes the commitment to practice it. Last year when I had a physical I was very surprised to learn how healthy I was. I was totally grateful in every way, but surprised none the less. My blood pressure was normal, my cholesterol just fine, and all my tests came back normal. Now for someone who is my age, has some extra weight I'm carrying, doesn't eat healthy all the time, and feels stressed out every single day, this was downright amazing!! And when I talk about being stressed out, I mean really stressed, about money, how am I going to find my own place to live, how my kids are doing, and so much more that I don't even talk about. So you can see why I was so surprised to learn how healthy I am. It's a great blessing to have your health, and one I don't take for granted, especially when I know of so many people who are sick. So I had to ask myself, why am I in good health, when my circumstances wouldn't indicate that that should be the case? And then I thought about my yoga practice, something that I do usually three times a week, for about forty minutes. I truly do believe this is the answer. Now don't for a minute think I'm some super yogi who can twist myself into a pretzel and does headstands all day long. Not at all. It's not about how far I can stretch, or what poses I can do. What yoga does for me is that I am more flexible, more balanced, more in tune with my body and my mind. And that's a lot, that's everything. I don't have the money or the time to go to yoga classes, so from the very beginning, I started a home yoga practice. At the time I was still married and had two kids at home, and was busy running a household. But I made it a point to take my yoga mat in the bedroom when no one was home, lit a candle, and just started doing poses. 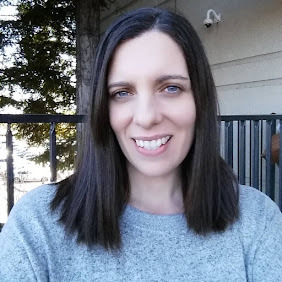 It took awhile to make it a routine, but I stuck with it, and eventually it became something I needed, and something that brought me great emotional comfort, especially after I separated from my husband. Those were very dark days, and I cried a lot on my mat, and yoga was one of the things that helped pull me out of that hole. Both physically and emotionally, I believe yoga has the power to make us stronger, happier, and healthier people. But like anything worthwhile in life, it takes effort and commitment to make it happen. If I can do it, I know anyone can. I know a lot of people struggle to practice yoga at home. It's great to go to a yoga studio and be surrounded with other students and a caring teacher to guide you during class. But in reality, very few people can go to classes a few times a week, so an at practice becomes essential if you want yoga to become a real part of your life. It's hard to find the motivation sometimes, this is so very true about a home practice, but the reward is so worth it. 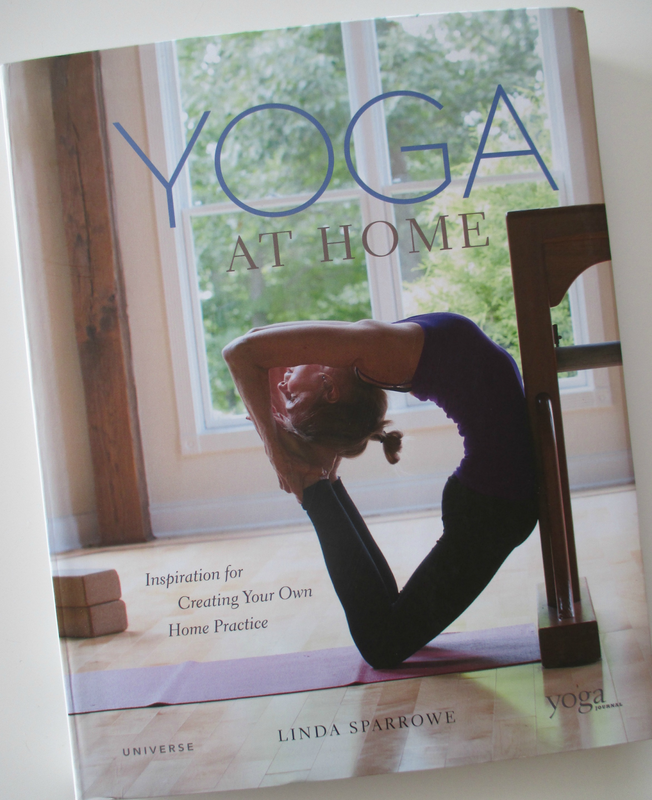 Last week I picked up this very inspirational book about starting and maintaining a home practice called Yoga At Home by Linda Sparrowe. It's filled with great stories and photographs from students and internationally recognized yoga teachers. It gives an intimate look at well-known teachers practice spaces and what motivates them to share their love of yoga with others. I found the book to be very motivating and insightful, and made me grateful for this look into other people's yoga practices and lives. It reinforces my belief that yoga is for everyone, that yoga can bring something special and sacred into our lives if we let it.